If you have decided to visit the beautiful island of Koh Samui for more than just its amazing beaches and clear waters, then you will certainly not be disappointed. these islands have everything you can ask for in terms of attractions, history and natural wonders. No tourist that comes to Koh Samui should miss the Namuang Waterfall – despite the fact that the island has several truly amazing waterfalls, none of them compares to this one. The purple rocks and the crystal clear water at the Namuang Waterfall attract thousands of tourists, and at the base of the waterfall you can find an impressive natural pool. Besides, you can easily get to the waterfall by foot, as it is very easy to access, and 10 minutes away from this waterfall there is another one that is just as impressive! 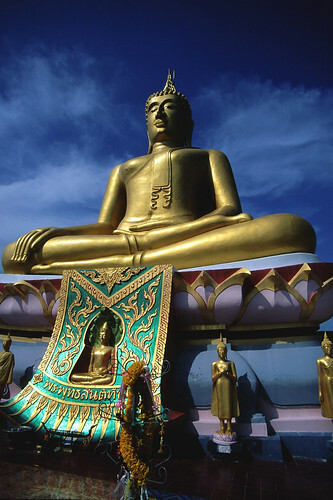 You do not necessarily have to be a religious or spiritual person to admire the amazing Big Buddha Shrine that is located right on the North Coast of the Koh Samui Island. This statue measures no less than 12 meters in height, and it can be easily spotted from miles away. and here you can find plenty of souvenir shops and stores where you can purchase gifts, lucky charms and such. These precious souvenirs will remember you of Koh Samui and the Big Buddha Shrine throughout the years! Although it may sound scary at first, the Mummified Monk (also known as The Mummy Monk) is actually one of the most appreciated and most sought-after tourist attractions on the Koh Samui Island. The monk died over two decades ago, and his body was placed in a special glass casket. What is truly amazing about the Mummified Monk is that to the present day, he has barely shown any signs of decay. and it is basically a small mountain (translated, the name means “The Small Mount Temple”) that is located close to Thongsala. then visiting the Wat Phu Khao Noi temple is certainly a wise decision. then you should not miss the Samui Aquarium and the one-of-a-kind tiger show. from sharks and catfish of impressive dimensions to sea hawks and coral fish. A bit of fun and entertainment should do. 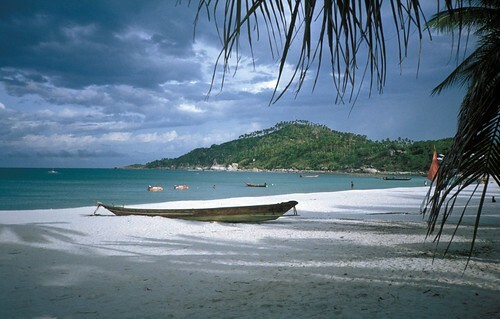 It is easy nowadays to travel from Koh Samui to Koh Phangan and other destinations by Ferry Koh Samui.